To be displayed in a 3D view, layers must contain their height (z) information. Layers can obtain this height information from within themselves or from other layers. You might have 3D layers that are used solely to provide height information to other layers. When adding data to your 3D view, you need to be aware of the roles that layer will play. Floating layers define their own place in 3D space by containing z-values in feature geometry, feature attributes, or layer-level settings. Draped layers are placed on top of a known surface layer, obtaining their z-values from it. Elevation layers provide a 3D surface for other layers to be placed on. All three layer types are supported in both ArcGlobe and ArcScene, though only ArcGlobe distinguishes the types within the table of contents. In ArcGlobe, layers are added as draped by default. Use the Add Data wizard to configure layers as they are added. To enable the Add Data wizard, click Customize > ArcGlobe Options > Messages tab, and check the Use wizard when adding data option. In ArcScene, layers are added as floating by default. Floating layers that do not have z-values in their geometry are initially shown with zero height values. Feature data with a spatial reference can be added to ArcGlobe. You can add 3D features or make features render in 3D by setting elevation and extrusion properties. You can then perform analysis on the features, such as selection, or find a particular feature in a feature class. Feature data can be floating layers or draped layers. You can add spatially referenced images to ArcGlobe. The spatial reference will dictate where on the globe the data appears. ArcScene does not require that the image have a spatial reference. However, if you need the image to be displayed with other data, all the layers will need to either share the same coordinate system or have their full spatial reference defined. If you are displaying overlapping images, you may also need to manage the draw order for the layers. Examples of data you might use include satellite imagery, scanned maps, and categorical data such as land cover. 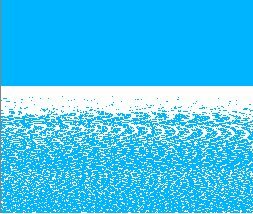 Image data can be floating layers or draped layers. Elevation data is used to give your 3D surface relief. By adding elevation data to your 3D view, it is used as a source of base heights on which to drape other data. While the surface data is usually related to the surface of the earth, it could also be a theoretical surface such as a prediction raster for fires, a sea temperature surface, or a landscape architecture plan. The more detailed data you add, the more detailed the final surface will become. In ArcGlobe, different sets of elevation data are used in conjunction with one another to define a single seamless elevation source. The boundaries of the elevation data are blended together for transitions between datasets, and the higher-resolution data source is automatically used for overlapping data sources. 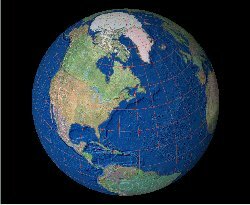 As you zoom in and out in ArcGlobe, the resolution of the globe surface will change to reflect the distance to the camera. 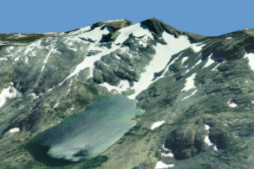 Single-band rasters, TINs, and terrain datasets can be used as elevation layers in ArcGlobe. Raster catalogs and mosaic datasets containing single-band rasters can also be used as elevation surfaces in ArcGlobe. In ArcScene, layers individually refer to an elevation source. 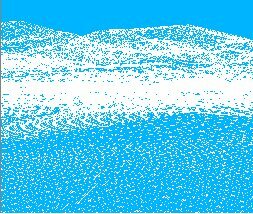 If the extent of the layer is larger than the elevation data on which it is draped, it will be clipped to match the elevation layer's extent. You can set the resolution of the surface for each layer and it remains locked to that level of detail as you navigate through the 3D view. Single-band rasters and TINs can be used as elevation layers in ArcScene. To use a terrain dataset as an elevation source in ArcScene, export your area of interest to either raster or TIN format. For more information about elevation layers in ArcScene, see About setting the role of a 3D layer in ArcScene.